As the chief technology officer of Honeywell International’s Automation Control Solutions division, Daniel Sheflin guides a 5,000 member team in its product development efforts. Daniel Sheflin additionally serves as chairman of the Smart Grid Federal Advisory Committee for the National Institute of Standards and Technology (NIST). Appointed to the position in 2010, Mr. Sheflin guides a committee of diverse industry and technology representatives spanning the business, higher education, and professional organization sectors. The overarching aim of the committee is to provide NIST with technical and strategic inputs that will assist efforts to maximize, modernize, and secure America’s electric power grid. In particular, long term efforts are underway to improve energy efficiency and stabilize electrical systems underpinning the grid via a Smart Grid structure. In selecting Mr. Sheflin to head the advisory committee, NIST recognized his experience within a company that has installed environmental and energy controls in more than 10 million buildings and 150 million residences worldwide. 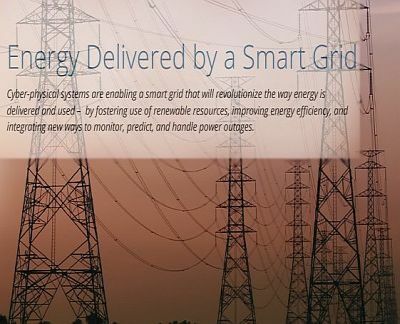 This entry was posted in Daniel Sheflin, Smart Grid and tagged Daniel Sheflin, Federal Advisory Committee, National Institute of Standards and Technology, Smart Grid on May 12, 2016 by Daniel Sheflin.